May is Skin Cancer Awareness Month and now that the sun is out and shining it’s time to remember to protect your skin every day. Check out our selection of sunscreens and make-up for your face with sun protection to keep your skin safe and beautiful. 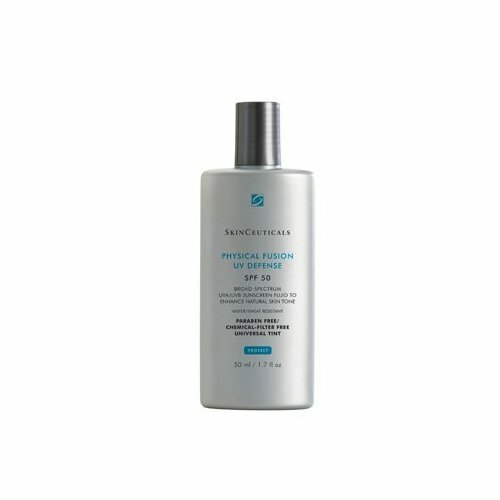 This new oil-free, ultra sheer sunscreen is great because it protects from the sun and is clinically proven to repair existing skin damage. Perfect for every day under make-up, this anti-aging product is a must-try! A percentage of proceeds will be donated to the Skin Cancer Foundation for the month of May. 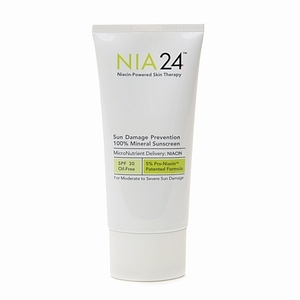 Another new, light-weight and amazing anti-aging sunscreen to try is NIA 24. Why? It was chosen by the National Cancer Institute for development as a potential skin cancer prevention agent. This product also diminishes the appearance of sunspots, fine lines and wrinkles. A percentage of proceeds from the online sale of NIA 24 will benefit the Skin Cancer Foundation. The tinted sunscreen provides high broad spectrum UVA/UVB protection and is made with zinc oxide and titanium dioxide. This product feels fresh and dewy so it’s great for dry skin. In support of National Skin Cancer Awareness Month, SkinCeuticals is teaming up with the MRA (Melanoma Research Alliance) to fight Melanoma by spreading the word on Facebook. Post a video or written testimonial on how Melanoma has either affected you or someone you know, and a donation will be made to this important cause ($20 to MRA for each video upload, and $2 for every post). In addition, Skinceuticals will give away five Physical Fusion UV Defense SPF 50 products each day for the most inspirational video submissions. Korres is known for its environmentally friendly and natural products which isn’t always synonymous with sunscreen. 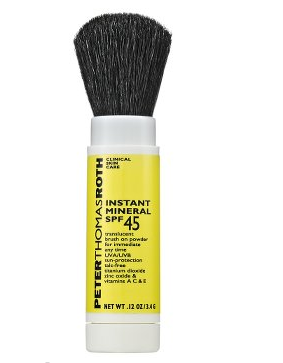 This super-fine formula goes on smoothly and feels lightweight. 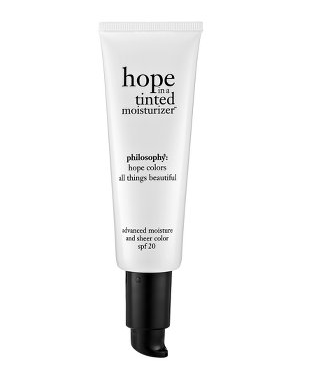 Philosophy’s Hope in a Jar has a bit of a cult following so it’s no surprise that they took this popular formula and made it in a tinted moisturizer. If you’re used to wearing foundation, try lightening up with this pleasantly scented moisturizer with a SPF of 20. This might be the coolest and most convenient sun-protecting product on the market. 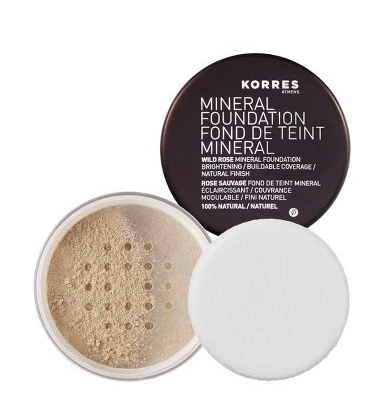 Just swipe this translucent, no-color powder on over any makeup you’re already wearing for instant protection. It comes in a formula for oily problem skin as well as a bronzing version. Re-apply as much as needed without any grease or make-up mishaps. Perfect to keep in your bag at all times. Your lips have some of the thinnest skin on your body and yet we often forget to protect this delicate area. 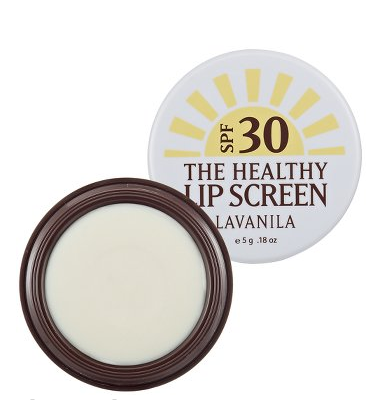 Many sunscreen lip balms feel drying or have a chemical aftertaste but the Healthy Lip Screen from LAVANILA with SPF 30 is creamy, non-whitening and tastes minty. It moisturizes your lips while blocking the sun’s harmful rays.